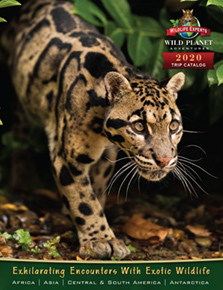 Leading exotic wildlife travel expert Wild Planet Adventures specializes in intimate encounters with exotic wildlife in less-traveled destinations that feature more animals and fewer tourists. 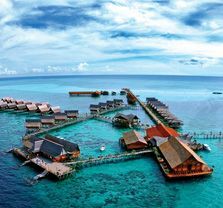 For this National Geographic Traveler has awarded Wild Planet it’s “world’s best” accolades five times. Staying true to this travel formula, Wild Planet Adventures founder Josh Cohen places the Republic of Zambia top on his safari check list. He offers these 10 surprising advantages of wildlife safaris in Zambia, one of Africa’s least visited countries. 1. Zambia pioneered the walking safari that Wild Planet Adventures combines with jeep and canoe safaris for the broadest diversity of game viewing and the most comprehensive wildlife safari possible anywhere in Africa. Canoeing and walking safaris also offer a more active and participatory experience – especially for those who want more exercise than safaris just by jeep alone otherwise allow. 2. Zambia’s legendary Master Guides. Walking and canoeing close to wildlife is exhilarating but requires expert guides with advanced tracking skills. Because these more in-depth safaris originated in Zambia, the country has the highest guide standards of anywhere in Africa. “It’s a cliché that ‘the guide makes the trip’, but to experience the bush with these legendary guides and witness their amazing tracking skills is truly a once-in-a-lifetime experience,” said Cohen. 3. Zambia has fewer tourists and no jeep congestion. Unlike East African countries where it’s common to find up to 50 vehicles chasing a lion, Zambia boasts remote sectors where guests are unlikely to see other vehicles. Safari-goers also still enjoy 360 degree views from open jeeps instead of being crowded into nine-passenger mini-vans which is now required in most of Africa’s more visited regions. 4. The eco-system is more diverse which means a wider variety of game. Zambia has vast plains teeming with game which are ideal for classic jeep safaris, but it also has a wide variety of other ecosystems including woodlands (which offer ideal cover for walking safaris) and rivers (for canoe safaris), including the famous Zambezi river topped by Victoria Falls, the world’s largest waterfall. More habitats mean a greater variety of animals. 5. Africa’s second largest wildebeest migration occurs here. Along with the spectacular sight of thousands of these animals on the move, herds of zebra, tsessembe, lechwe, puku and kudu also graze the plains, stalked by predators such as wild dog, hyena, cheetah, leopard and lion. And in Zambia you can see them without hundreds of other vehicles around. 6. Yes, the “Big 5” are here – along with so much more. A distinct advantage of both walking and canoe safaris and their diverse eco-systems is prime viewing of the Big 5 and more including cheetah, lion, leopard, elephant, giraffe, zebra. But these safaris also offer a more intimate bush experience with the possibility to see animals that might otherwise be scared away by approaching jeeps, such as pangolin (scaly anteater), bush-baby (a tiny primate who’s cries mimic a human baby), genets, honey badger and more. 7. Fewer visitors equate to a less habituated wildlife. With less than 860,000 annual visitors compared to South Africa’s 9.5 million, Zambia ranks among the least visited African countries. In such conditions, animals exhibit more authentic behaviors. With fewer jeeps nearby, guides rely less on radio chatter and more on advanced tracking skills to identify the location of animals. This avoids numerous vehicles surrounding the same animals that then tend to become overly habituated to human presence and loose their ‘wild’ instincts. “Wild Planet Adventures goes to great lengths to preserve the authentic safari experience by combining truly isolated and remote locations with master guides who exemplify tracking as an art form, so travelers see authentic ‘wild’ animal behavior while minimizing adaptation,” Cohen said. 8. Zambia is one of the safest destinations in Africa. Zambia is a politically stable, democratic country with very low crime, no terrorism threat, very high quality lodges, extraordinarily friendly (and happy) people, and it was over 5500 km from the recent Ebola outbreak, a disease that has never been present in Zambia. 9. Victoria Falls, the world’s largest waterfall, is here. From nearby Livingstone visitors can enjoy whitewater rafting, helicopter rides over the falls and wading out to see an unusual feature called “Devils Pool” at the lip of the falls by carefully peering over. 10. Zambia Has Exceptional Comfort and Convenience. World-class luxury tent camps, travel visas upon arrival (new for 2015) and small groups (four guests for walking and six for canoe safaris), further support Zambia’s rise as Africa’s top safari destination according to Wild Planet Adventures. Wild Planet Adventures’ best way to experience the wonders of Zambia is on their 18-Day Ultimate Wildlife Safari starting at $15,798 per person, double. The season is year-round but the best wildlife viewing is from July through October. 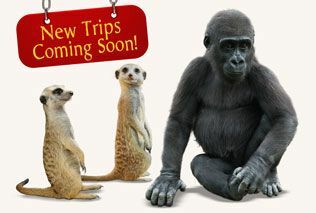 Shorter safari options are also offered (15, 12, 10 and 7 days) starting at only $4,698 per person, double, along with private, custom safari options. 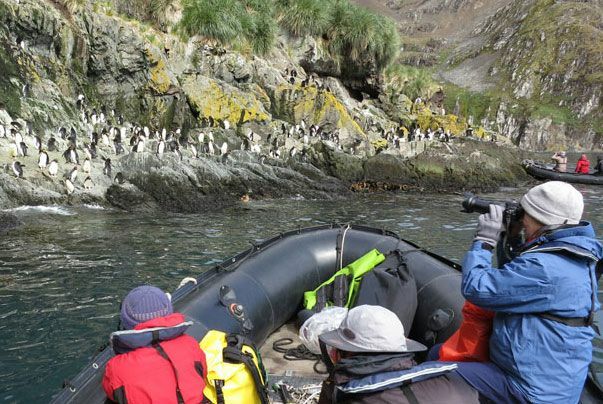 For detailed tour itineraries on all of Wild Planet Adventures wildlife eco-tours and safaris including Borneo, Brazil, Costa Rica, Galapagos, India, Panama Peru, Thailand and more, as well as space availability and booking information, call toll-free 1.800.990.4376, visit http://www.wildplanetadventures.com/ or contact trips@wildplanetadventures.com. 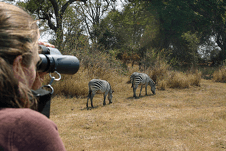 The expert wildlife guides of Wild Planet Adventures go the extra mile to explore remote wildlife habitat and study wildlife patterns in destinations not often accessible to the general public. Thanks to the company’s comprehensive itineraries that balance diverse and complex ecosystems and habitats, guests enjoy wildlife and game viewing that is carefully aligned with animals’ seasonal, daily and nocturnal migrations. 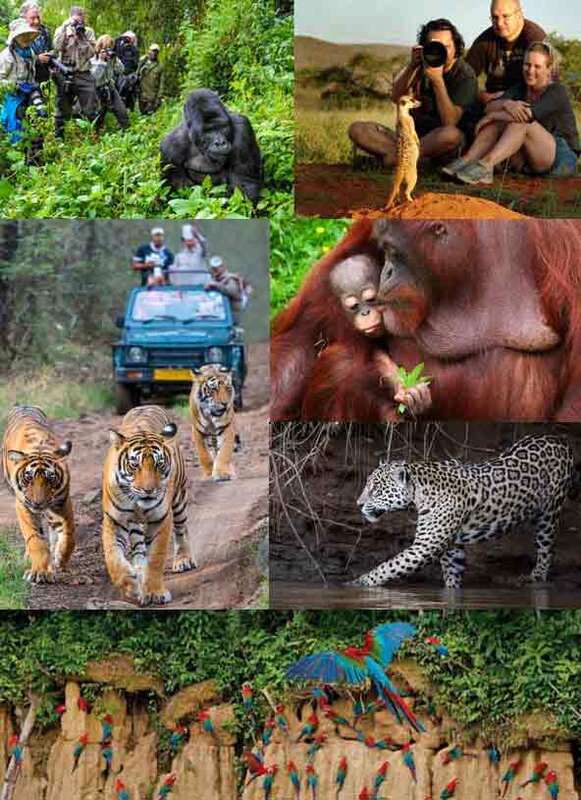 Following a philosophy that interacting with nature has the power to transform lives, tours are conducted in Africa, Borneo, Brazil, Costa Rica, Galapagos, India, Laos, Nepal, Panama, Peru, Thailand and Zambia.